ePublishing Knowledge BaseePublishing Knowledge BaseePublishing Knowledge Base Creating, Managing, and Selling Products How do I sell a PDF or other file as a product? If you'd like to sell a PDF report or other file, such as video, audio or even Excel file, as a product, the best first stop is your Media Manager. 1. 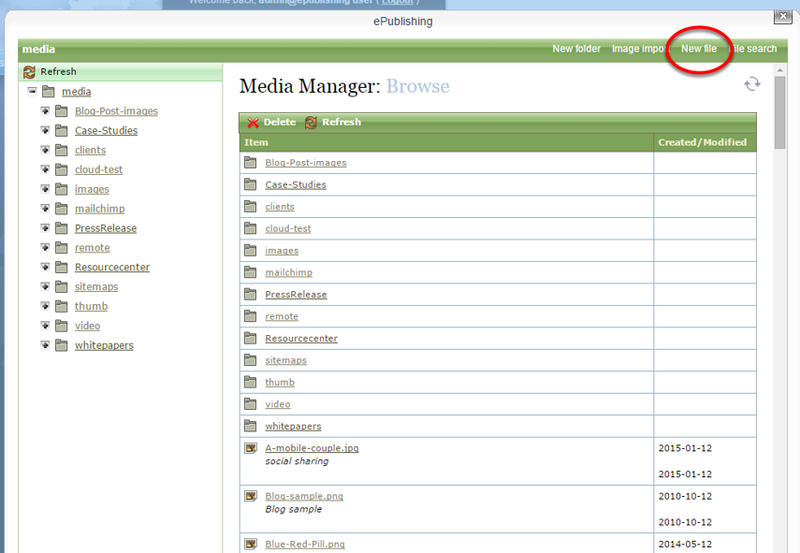 In the Media Manager, upload your file. Zoom: In the Media Manager, upload your file. 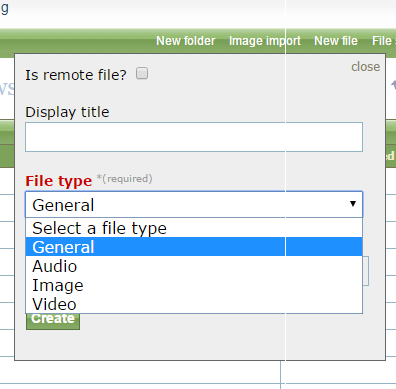 Click New File in the top right, or select the folder you'd like to place your file into and then click New File. 1.1. Select your file type. 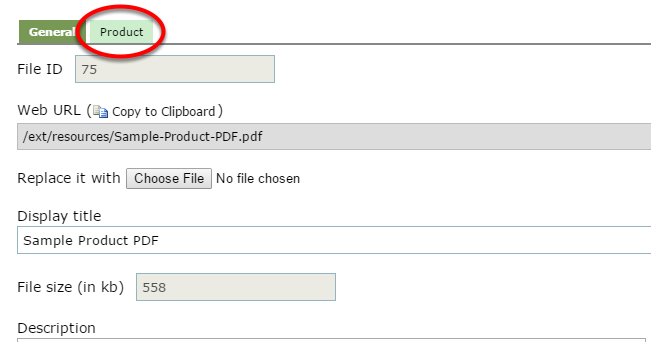 If you are selling a PDF file, select General. 1.2. Fill in your Display Title - which will appear as the link after purchase - and select your file from your computer. 2. 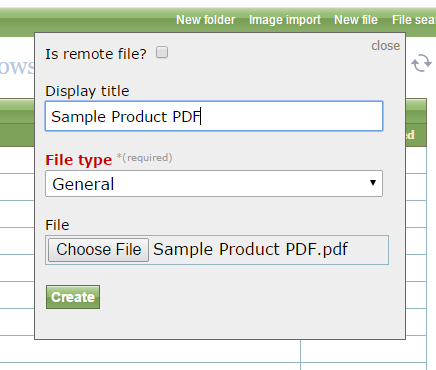 After updating your file's properties and saving your work, click on the Product tab. 3. 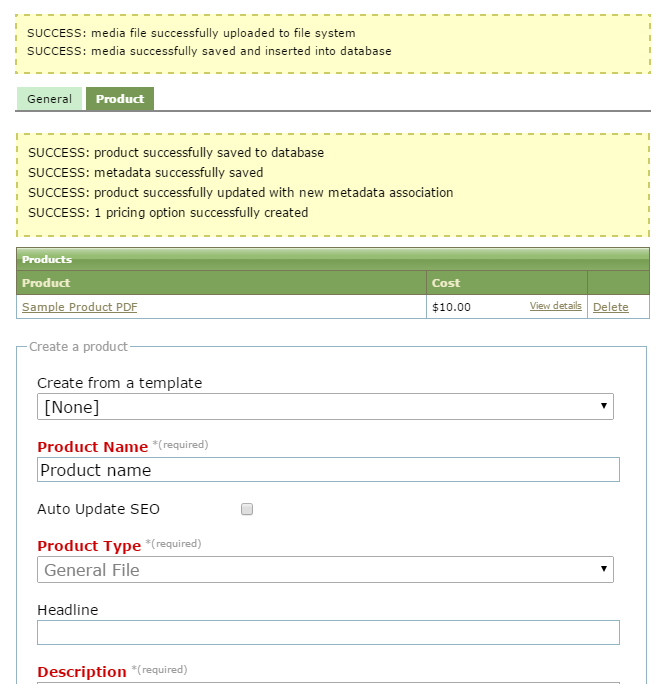 Fill in the product details just as you would if you created a new product from the Product Manager. Read: How do I create a new product? 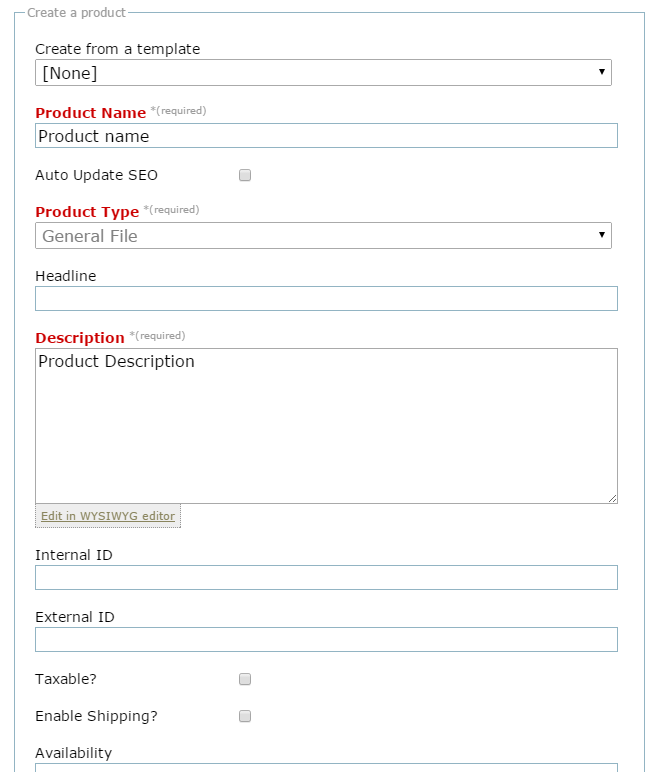 for more details on the first page of your product's properties. 4. When you have finished, click Create. If created successfully, you will see a yellow box at the top of the Media Manager. 5. The product is not yet live. To edit and then publish your product, click on the product link. You may also delete the product by clicking on Delete on the right side. 6. 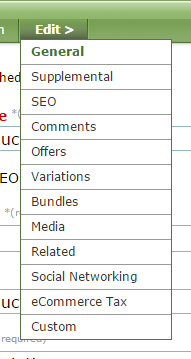 When your product opens in the Product Manager, edit as desired including SEO, offers and more. Read: How do I create a new product? for more details on how to edit your product. Prev: How do I create bulk or quantity discounts for products? Next: How do I update shipping rates?